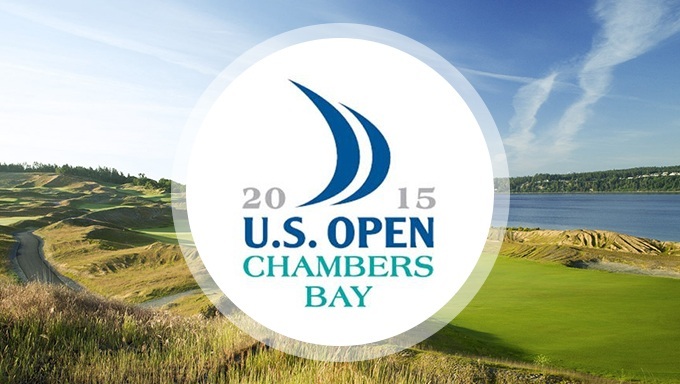 Chambers Bay in Washington provides the venue for this year's US Open. It's the first time that the Pacific Northwest state will host the tournament, and there's a chance that we could see a first-time US Open winner on the shore of Puget Sound. As the world of golf betting prepares for the second major championship of 2015, punters will focus on the two main stories that have dominated the sport this year – the emergence of Jordan Spieth and the increasingly painful decline of Tiger Woods. Spieth, who produced a controlled and confident performance to win the Masters in April, is as short as 8/1 with Bet365 Sports to achieve back-to-back major victories at the US Open. His rise to the top has been rapid – the Texas-born player is just 21 and is already rated by the bookies as the chief threat to world number one Rory McIlroy, who will be aiming for his fifth major title at Chambers Bay. In contrast, Woods has continued to struggle on the PGA Tour and his world ranking has now slumped to 181. Bet365 Sports rates the 14-time major winner's chances of prevailing in Washington at 40/1, but other betting sites are offering even longer odds. In what would have seemed an unbelievable scenario just a few years ago, three-time winner Woods is simply not regarded as a serious competitor this time around. The general lack of optimism regarding a change of fortune for Woods could be something to do with this tournament's reputation for fiendishly tricky holes and tough scoring. Traditionally, the US Open course is set up to reward long and accurate driving, which suits McIlroy perfectly. The 26-year-old already has one US Open title under his belt, which he picked up at Maryland's Congressional Country Club in 2011. Having already won three times this season, including twice in the US last month, McIlroy is the favourite to win the US Open at 7/1 with Betfred Sports. For punters seeking a more unlikely winner, or a solid each-way prospect, there are plenty of intriguing players in the field. Germany's Martin Kaymer was the US Open champion last year, but he is as long as 33/1 with Coral Sports to defend his title in 2015. The man from Dusseldorf has played fairly well in Europe this season but his PGA Tour form has been patchy – just one top-ten finish from eight events. Nevertheless, Kaymer could be a danger if he finds his form in Washington. Justin Rose became the first English US Open winner since Tony Jacklin in 1970 when he claimed the 2013 title at Merion Golf Club. The 34-year-old is sure to attract betting interest again this year due to his proven appetite for majors and some impressive recent form. Rose tied for second behind Spieth at this year's Masters (with the joint-lowest runner-up score in the history of the tournament) and also has a PGA Tour victory to his name this year, having triumphed at the Zurich Classic of New Orleans in April. He can backed at 16/1 with Coral Sports. Golf fans looking for longer odds may be tempted to give Billy Horschel a try. The American has struggled to make an impression at the other three majors but has managed some encouraging results at the US Open, finishing in a tie for fourth in 2013 and joint 23rd last year. A three-time winner on the PGA Tour, he is priced at 66/1 for this year's US Open with Winner Sports. Ready to bet on the US Open? Visit Coral Sports today.